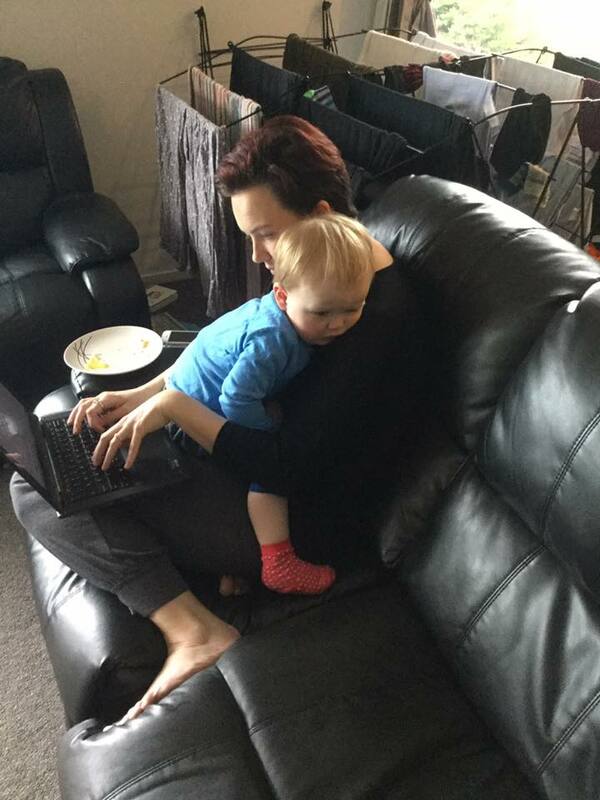 Come along to a free reading and Q&A with Mommy blogger Emily Writes. Located in the Learning and Activity Space, parents are welcome to bring along their little ones to the event which has been bought to you by the Dan Davin Literary Foundation. 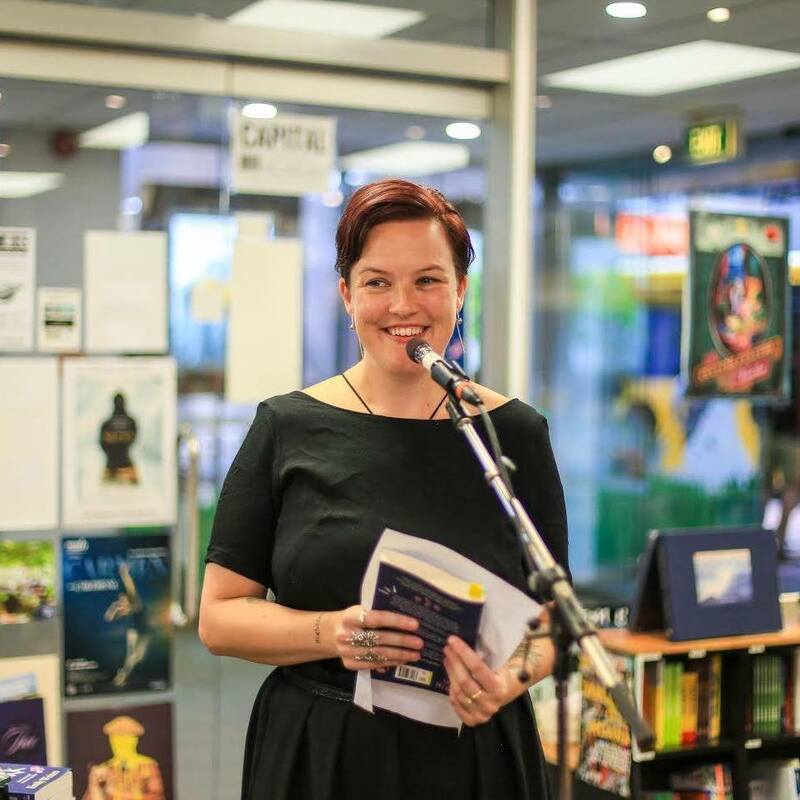 Emily Writes shot to fame as a blogger who wasn’t getting a lot of sleep, and then reached further heights with the publication of her book, Rants in the Dark. Frank, funny and heartfelt, Writes’ book strikes a chord with many parents. 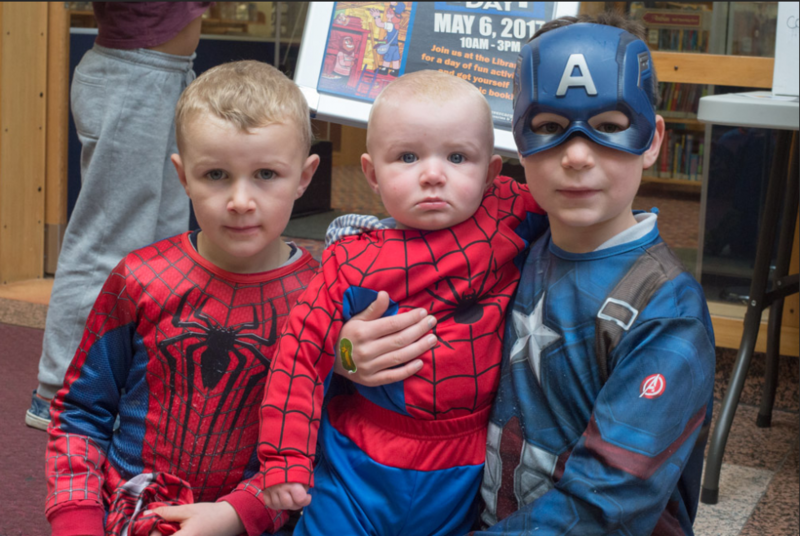 Free comic book day – a fun day of activities and freebies. Join us at the Library as we celebrate Free Comic Book Day, brought to you by the NRG. There will be 1000 comic books to give away! Titles include; The Avengers, Power Rangers, Spider Man, Star Wars, Disney Princesses, Transformers and so many many more. There will also be a collection of super hero and pop memorabilia and photo screens for the little and large super heroes to capture the day and don’t forget the colouring competitions and spot prizes galore. Receive one comic for turning up and a second for dressing up. NRG are proud to run this event with the support of sponsor Mee and Henry Law Limited. 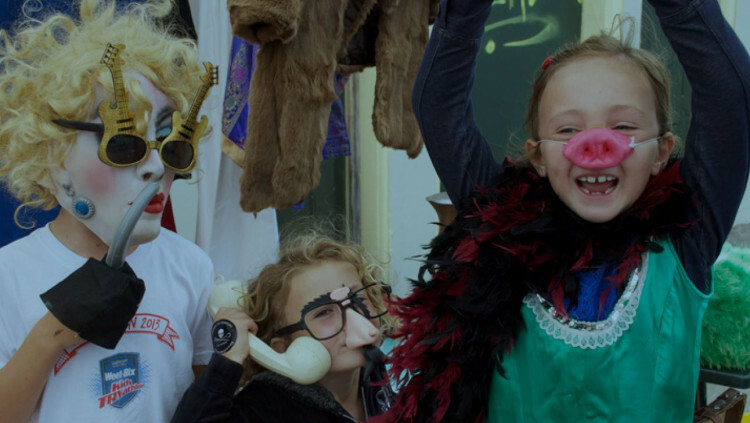 Dress up, be creative and have fun at the Library as part of the White Night Festival. White Night is a one-night-only celebration of our city and our artists. Explore the CBD’s nooks and crannies, alleyways and buildings, insides and outsides! Wherever creative folk exhibit, perform and gather, that’s where you should be, too. This year the Library is excited to host a Dress-up-jam run by Barbarian Productions. The event in the library foyer will comprise a small marquee. Inside will be a group of actors who will have all sorts of costumes and props for people (of all sizes!) to put on. The actors will encourage characters, and engagement with the people. The Library will also provide a fun, funky background for people to use, to take photos of themselves in their funky costumes. Use your own phones and cameras, or our friendly Library staff can take photos and put them on Facebook the following week for all to see. Or find them on Facebook at White Night Invercargill. With ANZAC day right around the corner, we have picked out our top suggestions for must-read ANZAC themed books. 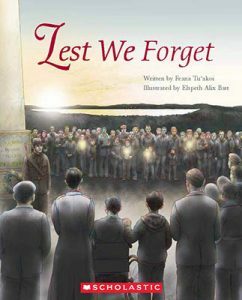 This book exposes the rich history behind Anzac Day; seeking to answer the many questions children often ask their parents and teachers around the 25th of April every year. It covers all aspects of Anzac Day, from the Gallipoli Campaign and the Great War, right through to the format of the commemorative services held annually throughout the country. 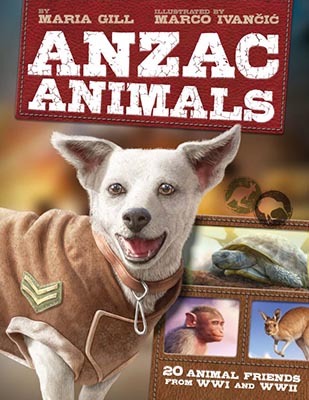 The fascinating true tales of the mascots and working animals that helped Anzac soldiers, sailors, pilots and medics do their jobs in wartime. 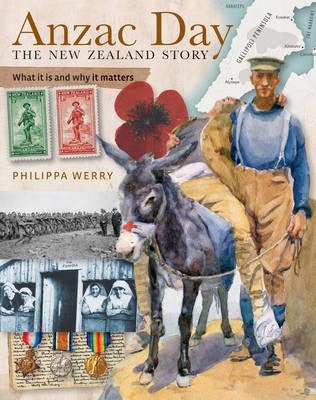 Billy, a 17-year-old shepherd working on a farm in the Manawatu, lies about his age and enlists in the army. 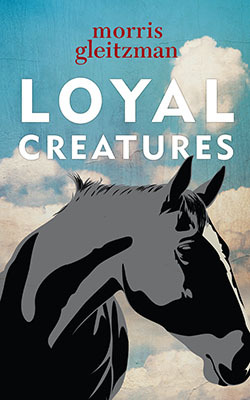 We follow his and his mate Jack’s journey in the Mounted Rifles from their Awapuni training camp, to Egypt before being shipped out – without their horses – to Gallipoli. There they discover that war isn’t the big adventure they thought it would be. 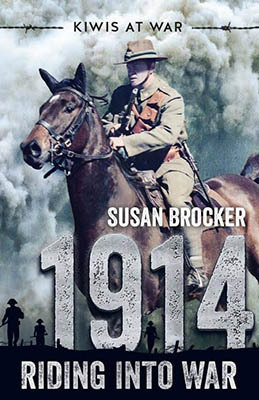 It is the first book in the series that tracks each year in World War 1, each focusing on different aspects of the war. 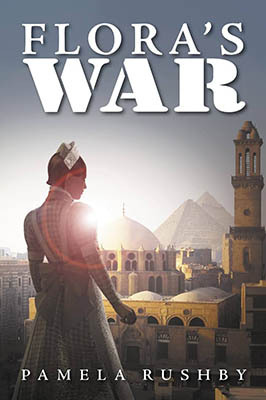 It’s 1915 and sixteen-year-old Flora Wentworth’s comfortable life is turned upside down when visiting Cairo with her archaeologist father. She watches with growing alarm as first a trickle and then a flood of wounded soldiers are shipped into the city from Gallipoli. She is soon transporting injured soldiers and helping out exhausted nurses and managing to fall in love along the way. Evan travels with his father to the Dardenelles to aid the Allied soldiers when they are captured by the Turks. They are launched into an epic journey, living on their wits and the kindness of strangers as they escape. The gripping story of an incredible journey behind enemy lines told in diary form that is an eye-opening adventure story that cleverly explores both sides of the war. 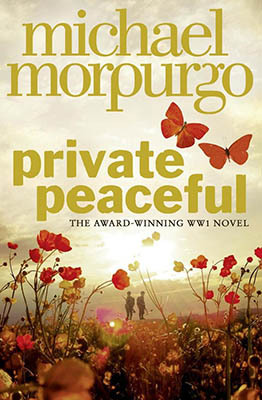 For young Private Peaceful, looking back over his childhood while he is on night watch in the battlefields of the First World War, his memories are full of family life deep in the countryside: his mother, Charlie, Big Joe, and Molly, the love of his life. Too young to be enlisted, Thomas has followed his brother to war and now, every moment he spends thinking about his life, means another moment closer to danger. Like many of his mates from the bush, Frank Ballantyne is keen to join the grand adventure and do his bit. So Frank ups his age and volunteers with his horse Daisy … and his dad. 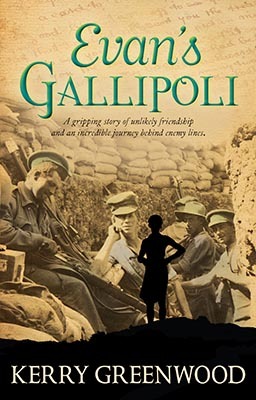 In the deserts of Egypt and Palestine, to Gallipoli, then the famous charge at Beersheba, through to the end of the war and its unforgettable aftermath, Frank’s story grows out of some key moments in Australia’s history. This is the powerful story of a young man’s journey towards his own kind of bravery. 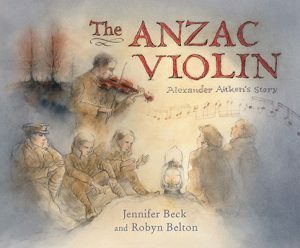 Maybe, somewhere, on the other side of the world, a child remembered not just the thunder of gunfire but the sound of a soldier softly playing a violin; the story of a rescued violin and an extraordinary musician Otago’s Alexander Aitken. 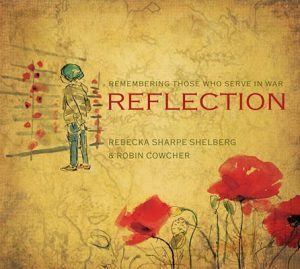 This picture book takes children through an ANZAC Day dawn service, placing images of the service alongside images of the soldiers at war. A gentle, simple, yet powerful introduction to the bittersweet memorial. “War is stupid,” mumbled Tyson as he slammed the last photo album shut. He pushed it roughly back into the box and slapped the lid down, hard. There was no way he was going to the Dawn Parade with Mum and Poppa tomorrow. Why celebrate something so terrible? But after listening to the stories about the soldiers in his family Tyson feels differently and goes to the parade. Love these recommendations? Then be sure to pop into the Library and check one out today! But not on ANZAC day, we will be closed. Free Audiobooks for Teens! Sign up now to receive free Audiobooks through the Overdrive App. Do you love audiobooks? Then you will love this free audiobook promotion running in April. SYNC is a free audiobook program for teens 13+. Returning April 26, 2018, SYNC will give away two complete audiobook downloads a week – pairs of high interest titles, based on weekly themes. In 2017, 32 titles were given away over 16 weeks. SYNC is sponsored by AudioFile Magazine and titles are delivered through the OverDrive app. In advance of accessing the program, download the app in advance to whichever device you anticipate listening on and be ready to go! Sign-up to get notifications when the FREE audiobook downloads are available. You can receive alerts by text message, email newsletter, or by visiting www.audiobooksync.com. Titles change every Friday when the program is running. Please Note: Signing up for these alerts will not send you the titles. The alerts will only tell you when and where the title is available to download. For more information visit the official Audiobook Sync website. This program is run by an outside organisation and is no way associated with the Invercargill City Libraries and Archives.